2018 was a little disappointing for Xbox fans, so we’re hoping that 2019 proves to be a lot better. Over the next couple of weeks, we’re going to be highlighting a different game each day, giving you all the relevant details and salient talking points for big games of the year. With so many upcoming titles, we’ve decided to do this in order of release date. Today, we’re talking about the upcoming release from developer UbiSoft Singapore, Skull & Bones. 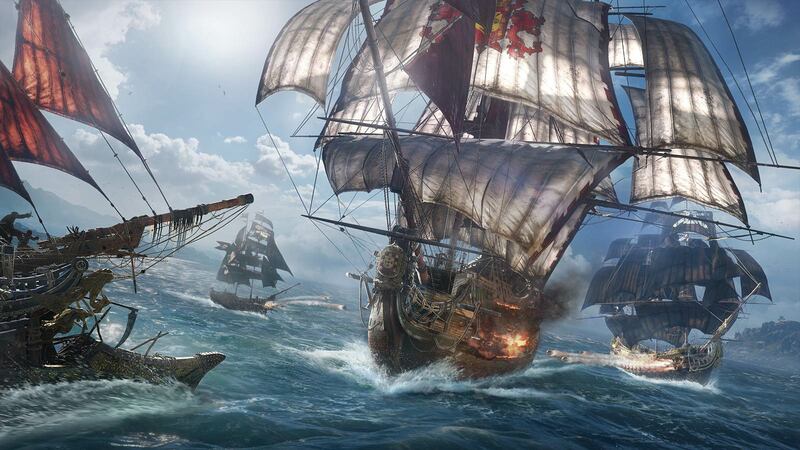 Skull & Bones is a tactical pirate action adventure game from developer Ubisoft Singapore. Players embark on a pirating journey in the year 1720. After piracy has been outlawed and pirates hunted nearly to extinction. Piracy has begun anew in the Indian Ocean and its time to make your fortune in a new piece of water. Will you sink or will you swim? Ubisoft is no stranger to the swashbuckling pirate-game genre. 2013’s Assassins Creed IV: Black Flag was award-winning in its own right and well-received throughout the gaming community Ubisoft Singapore was the development studio behind the lauded naval combat system within the game, and its success was the catalyst and inspiration behind Skull & Bones. The naval combat was quite good in its first iteration five and a half years ago. From what we’ve seen via the released game-play teaser footage it appears that it has continued to mature and evolve. Ships individual customization features, team cooperative combat mechanics and individual specialties look extremely compelling. As for the story, the pieces we have seen also look incredibly promising. 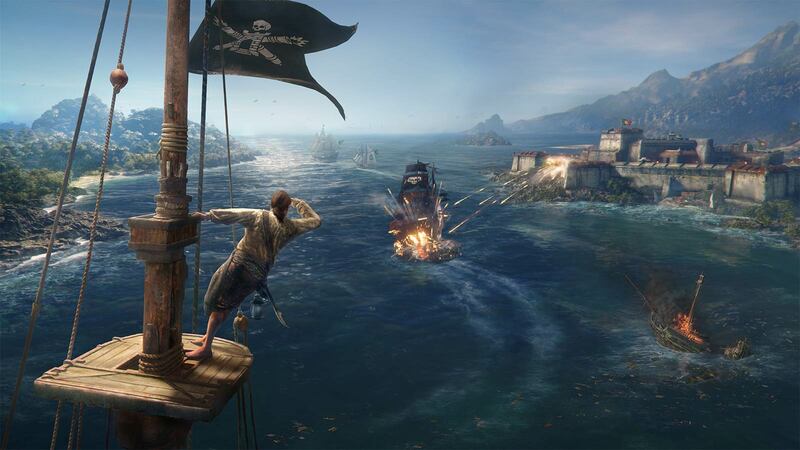 While Skull & Bones biggest strength is its history of solid pirating mechanics I believe it could potentially be its largest weakness as well. When companies begin a project like this IP, built on a previously successful mechanic it can be very easy to desperately seek to avoid, please pardon the pun, rocking the boat. Skull & Bones might have the best naval combat system in the industry but if Ubisoft Singapore hasn’t created a compelling storyline or advanced the combat system to be substantially different than Black Flag it could spell trouble. Well, those are our musings about Ubisoft Singapore’s Skull & Bones. What do you think? Does this pirating game have your attention? Do you think it’s going to be a hit or arrive…dead in the water? Will this be a pre-order worthy or are you going to wait to see how some reviews rate the experience? Let us know what you think in the comments section below. Stay tuned for tomorrow’s next big game of 2019!